We don't have to go into graphic detail about what it's like to have the stomach flu; the mere mention of this particular sickness simultaneously brings immediate grimaces. 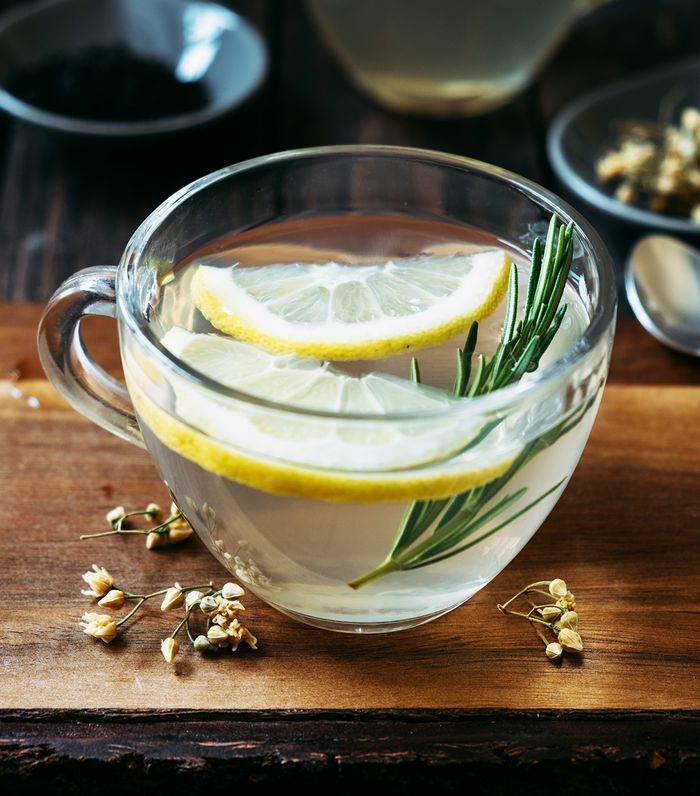 "The stomach flu is a viral infection causing inflammation in the stomach and/or intestines, also commonly known as gastroenteritis," says naturopathic doctor Tara Nayak. "It is caused by many different possible viruses with one common factor: They are all highly contagious. These are spread through direct contact with an infected person or contact with infected stool or vomit. This is how the flu spreads so quickly in households, schools, cruise ships, etc." So while there's not much that you can do to prevent it besides steering clear of anyone who has it and always washing your hands to fight off germs, it's important to go see a doctor for the best treatment options if you happen to get it. "You should go have a blood panel to see your general health status to determine if it is viral or a bacterial infection," says naturopathic Gabrielle Francis. "If you see blood or pus in your stool or vomit, a trip to the doctor is in order. Stomach flu can linger for up to 10 days, but you cannot go that long without holding food or water," says Nayak. "The longer you feel bad, the more likely you may need to see a doctor. One of the main things to look out for is dehydration. If you are not urinating, sweating, or producing tears or if you feel lethargic, extremely thirsty, or pass out, it's time to go get some IV fluids." We asked Francis and Nayak for at-home remedies we can make for ourselves when we are too sick to leave the house and what things hinder the recovery process. Scroll down to see what they had to say. 1. Probiotics: "My number one advice for anyone with the stomach flu is to take probiotics. Not all probiotics are created equal. An over-the-counter brand that is not stored in a fridge may not have enough active bacteria to benefit you during a bout with the stomach flu. When I work with someone with the stomach flu, I make sure they're taking highly potent probiotics at a high dose. You'd be amazed how quickly you feel better when this is done right," says Nayak. 2. White rice, hot rice cereals, and congee: According to Francis, eating these foods will help to soothe the gut lining. 3. Ginger capsules: "Ginger as a food is great, but it's not powerful enough. Studies have shown that ginger can be as effective at eliminating symptoms as some of the current antinausea pharmaceutical drugs, however, you have to take a concentrated ginger capsule to have this potent effect," says Nayak. 4. Unripe bananas: "Bananas have been used for ages to stop diarrhea. The unripened fruit has a high amount of pectin, which is a type of fiber that helps diarrhea by absorbing some of the excess water in the intestines," says Nayak. "This will make your bowel movements more formed instead of watery diarrhea." 5. Vitamin A: "This is one of my go tos for viral infections, but it is particularly useful in the stomach flu. This is because vitamin A directly stimulates immune cells in the intestines known as dendritic cells," says Nayak. "These help fight off the virus but also decrease inflammation in the gut." 6. Chamomile tea: "Chamomile tea can have antispasmodic effects on the stomach, hence calming down those awful cramps," says Nayak. "Most of us know this as a calming herbal tea, but it can have medicinal power." 7. Heating pillow: "It's a simple thing, but it can bring some calming relief to have one of these gentle warming, aromatherapy-scented pillows on your tummy when it's cramping up," says Nayak. "The heat can help relax the cramping muscles while the lavender scent calms you." According to both Francis and Nayak, we may inadvertently do things that could make the healing process slower. Francis says avoiding eating altogether will suppress our immune system by decreasing our body's ability to make antibodies that fight the infection. Another thing we do is not take it easy after recovering. "A common mistake is going back to regular eating/drinking habits as soon as one feels better," says Nayak. "It's important to return to eating slowly while being mindful of what you eat/drink. For example, you should eat light and bland for at least three days after the stomach flu, whereas many people will feel better, feel hungry, and go for something they're craving that may further upset their stomach." We'll be keeping all these tips in mind the next time we're fighting against the dreaded stomach flu.